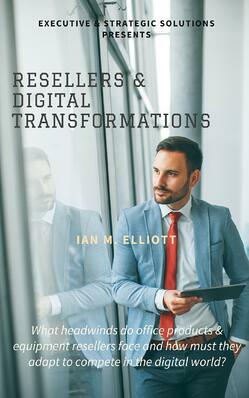 Why is a resellers online presence its key to survival? Find out what you didn't know about our industry while you learn how to approach a digital transformation. Learn why it's futile to attempt a digital transformation unless you're prepared for what you're going to encounter on the journey! It's a mature market, consolidation is taking place, and competitive threats are increasing. If you still think you can put up an e-commerce catalog and organic traffic will magically arrive to save your business, then think again! How will anyone find your website? What are the repercussions of no web traffic?